A re-infestation is where after the treatment has been applied, the same pest is found to reappear. Often, but not necessarily in the same place. 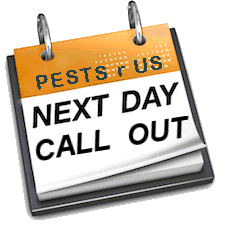 In most cases a re-infestation occurs because the homeowner has not followed the advice given by the pest controller on the first call out. In many cases where advice is ignored, it is in the belief that once a Pest Controller has called, the treatment applied and then everything will be all right. 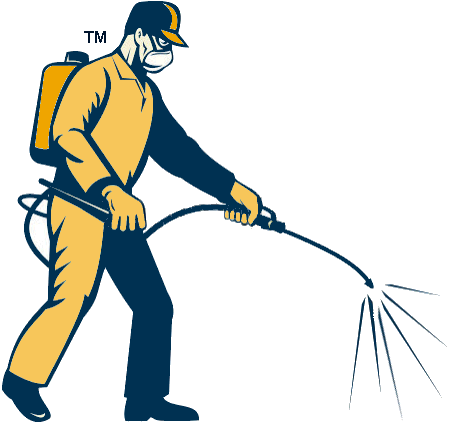 Unfortunately in many cases a Pest Controller is called out after many attempts at getting rid of the pest has failed. This could be from the wrong treatment, not having the patience to continue with the treatment, making a concious decision not to treat or because there is only a limited window of opportunity to treat due to the owners movements etc. Whatever the reason for the re-infestation, the reappearance of the pest always follows the same pattern. Namely a period of a few (or more) weeks where no pests are seen, followed after several more weeks by noticing the pest again. 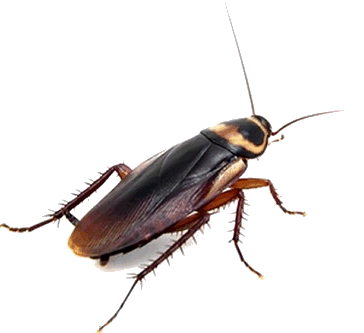 Below are some common re-Infestation reasons by pest. Bedbugs are renowned travelers, and will often be difficult to get rid of initially. Add to this, a spouse that works away from home, friends staying at the house, the house being rented out to strangers or friends, and you have a complex situation where deciding whether the bed bugs are still there, eggs have hatched or whether they are being reintroduced is difficult. Keeping a diary of peoples movements versus attacks of biting often helps to narrow down the cause. Wood boring beetles can be clearly heard (as opposed to termites or woodworm). And no, the beetle larvae do not lay eggs. So when a treatment has been administered then if no further noise is heard or dust is found (generally over a period of a week or so) then the treatment has been effective. And no, wood boring beetle/woodworm larvae do not go to sleep for a few weeks and then decide to have another munch at your wood. Unfortunately, with windows and doors left open for long periods and no netting installed to prevent the flying adults from entering the house, the attraction of untreated pieces of timber or furniture will inevitably increase the risk of another attack by another wood beetle/wood worm. Externally, any untreated or unprotected wood is always going to be a target for these insects. It is crucial that there is a regular regime in place for the treatment and protection of all exposed wood. Basically any wood left untreated or unprotected is an invitation for problems. Once the termite treatment has been applied, there are certain factors that will affect the likelihood of a re-infestation. Some examples are door frames fitted/laid on soil or concrete foundations, open windows for the adults to fly through, a water leak or damp or poor ventilation in an under build. There are many other factors, but your pest controller will advise at the time of the visit. Almost without exception, fleas occur in houses with pets (albeit sometimes not the owners pet and sometimes not seen. Stray cats have been known to use cat flaps to feed on a spare bowl of food left in the kitchen. If the cat does this regularly and also has fleas then the consequences are obvious. Fleas come from animals. Walking your dog down the street can mean picking up flees. If the flea treatment appears not to be working then regular re-infestation is occurring. The good news is flea bites are easily identified. Ant re-infestation tends to be that the nest has not been dealt with. Spraying the ants you see with insecticide is just an invitation for the queen in the nest to lay more eggs. This is why our special ant poisons should be used until the nest has been completely destroyed. This is only possible if you allow the living ants to take the poison back to the nest, and killing them on sight is counter productive. Continuing to poison the nest can take weeks in some cases, but it always works. Much that can be said about ants, can be said about cockroaches. Except cockroaches live and breed in septic tanks and drains. It is almost impossible to eradicate them from these hiding and breeding places. But if you follow the advice given and have sealed up all the entry points into the house then you can at least restrict their activities to outside the house. Rats/Mice in the garden are an inevitable part of the wildlife in Spain. Poison traps can drastically reduce the population to acceptable limits. The occasional rat in a palm tree is no big deal. Rats in the house on the other hand can be prevented by following the advice, sealing up any entry points and laying traps. Once that has been done then there will be no Rats in the house. If they re-infest, then they have found another entry point. Wasps are attracted to certain spots to make their nest. There are many reasons why. "They have returned" is a common comment. Actually they have not returned, because the ones that were reported would have been dealt with first time around. But that doesn't mean that their friends and relations understand that they are not welcome. So getting rid of wasps is at best a seasonal solution - flying insects do tend to return, house martins, robins and mosquitoes are a good example of this seasonal return. The pest controller would have advised about colours, cracks, food and water sources and the best ways to reduce the risk of a re-infestation. Pine caterpillars do not re-infest. However the adult moth does tend to return to the same tree every year to lay its eggs. So Pine Caterpillars need to be dealt with every year.